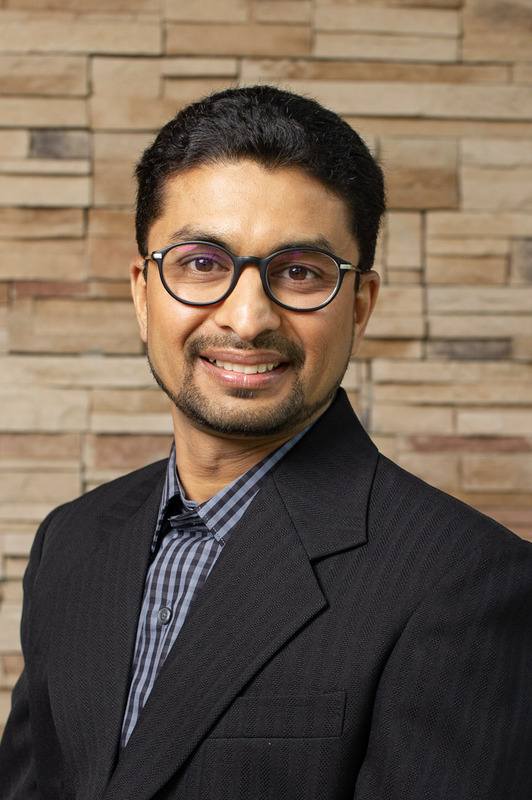 Rupam Chokshi, director of product marketing, has been an integral part of our organization for many years and continues to help us grow and improve. His in-depth knowledge of the health and human services (HHS) sector, modernization of technology, and improvement of business processes is a key factor in Northwoods’ ability to build software solutions that are designed around solving state and local HHS agencies’ most important problems. Child welfare technology is constantly evolving: trends ebb and flow, policies and mandates change, and new tools become available seemingly every day. Beyond changing how work gets done, it’s also changing the way you talk about it—both about your challenges and how technology can be used to help solve them. 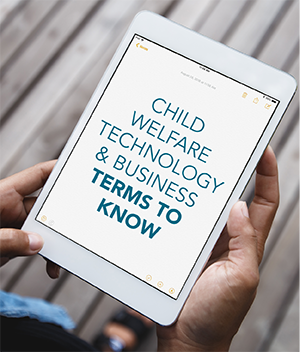 We’ve compiled a list of terms you’ve likely heard in conversation or come across in practice articles related to technology, along with their definitions, how they relate to each other, and what they mean for child welfare. Modernizing to the new Comprehensive Child Welfare Information System (CCWIS) creates a major opportunity for child welfare organizations to apply innovative solutions to overcome systematic barriers. However, too many states and agencies may still view CCWIS as the next Statewide Automated Child Welfare Information System (SACWIS) with little change. 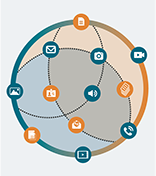 Where SACWIS was more of a “one-size-fits-all” model, CCWIS allows agencies to tailor their IT needs to align with their unique program requirements. This opens the door for child welfare organizations to consider next-generation technology, like a system of engagement, that revolutionizes how social workers deliver services and interact with clients. How Does the Opioid Epidemic Impact Child Welfare Caseworkers? Kristi Burre has spent almost 20 years working in public service and child protection, but she’s never seen a greater need to support her caseworkers than she does today. As Deputy Director of Fairfield County Child and Adult Protective Services in Ohio, Kristi has a front row seat to watch how the opioid epidemic wreaks havoc both inside and outside the agency’s walls. Not too long ago, we were talking to a protective services caseworker who summed up one of the most common issues we hear from customers—not enough time to explore, digest, and understand critical information about a case before they can actually start managing it. "I'm new and I'm getting cases that are transferred from another ongoing worker. A lot of my time is just spent trying to understand the case. I feel like I'm wasting a lot of time I could be doing actual interactions or providing services for the family." We also heard from a Child Welfare program manager one of the biggest risks of not having all the critical information related to a case in front of you when making a decision: "Trying to serve on memory is dangerous in our line of work." What do these two scenarios have in common? 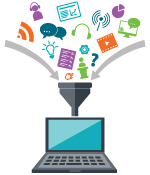 They both underscore the importance of having critical, relevant information in a digestible format at your fingertips when serving families. Cognitive search is an emerging trend that’s helping social services agencies do just that. Government’s IT procurement process is under fire. For starters, it’s rigorous, antiquated, and time-consuming—a sentiment that rings true whether you’re the program administrator requesting technology, the state official managing access to the technology, or the provider, like us, working diligently to get your technology in agencies’ hands to help them help others. The more you know, the better decisions you can make on behalf of a child. But finding time to sift through research and read up on the trends impacting the industry is easier said than done. As the former director of a child and adult protective services agency, I know how hard it is to keep up with the information in your own cases, let alone what’s going on outside the agency’s walls. That’s why I try to always carve out time to identify valuable tools, links, and resources that can help any director researching critical topics and trends like change management, CCWIS, and technology in social work. Editor's note: While the conferences on this list are still excellent, there's a newer version of this blog post you may want to check out instead. View the most recent list here. One of the best ways to get a double dose of both? Carving out time to attend conferences and events that not only have really amazing programming/sessions, but also build in plenty of time for attendees to network and discuss how they’re addressing key opportunities and challenges.